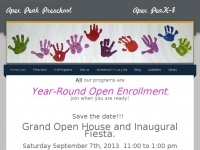 A profile of Carymethodistpreschool.org was found on the social network Facebook. 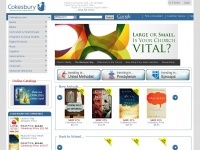 The web server used by Carymethodistpreschool.org is located in Scottsdale, USA and is run by GoDaddy.com, LLC. On this web server 23 other websites are hosted. The language of those websites is mostly english. 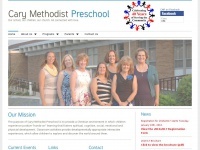 The Carymethodistpreschool.org websites were developed using the programming language ASP.NET and served by a Microsoft-IIS server. Indexing the data of the website and following hyperlinks on it is explicitly allowed by robot information.